The BBC has chosen Lucca as the most romantic place to spend one’s holidays. Lucca has become very trendy for holidaymakers in the first half of 2011. The visitors have highly increasead in percentage terms (10%). The reason is that D’Annunzio’s arborato cherchio (the tree-lined circular shape of the town) has kept its treasures far from inattentive eyes. The mysteries of Lucca deserve attention, care of details. Strolling along the narrow medieval streets means walking into the history of a town which has built its wealth on manufacturing activities, basically wool, silk and banking. Incredibly, at the end of the 14th century, Lucca, economically dominant, was able to finance the wars of European sovereigns. On the eve of the age of free communes it competed with Florence, Pisa and Siena but unlike them it confirmed its future vocation, the independence from Florence, an attitude which was to last up to the arrival of the French troops of Napoleon in 1799. Like an old lady, proudly aware of her glorious past, Lucca has never paid attention to the economical allures of globalization. The shadowy walls have safely protected it. Thence its untouched and never-ending charm. The visitor can’t be not enthralled by the marble laces of San Michele al Foro or the Cathedral San Martino. Inside the sarcophagus of Ilaria Del Carretto by Iacopo Della Quercia. Here John Keats, the English romantic poet, in front of this masterwork, rapt in reverie, might have dedicated to the young lady the same closing line A thing of beauty is a joy for ever he actually wrote for the Grecian Urn. 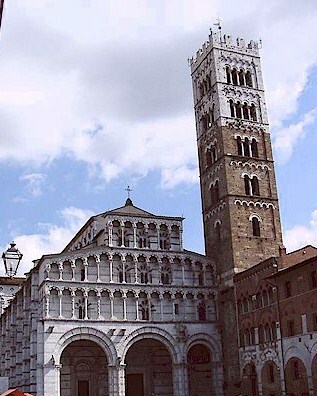 Lucca is not only a must for art holidays but something more. The2011 Summer Festival, attended by 60,000 visitors has hosted artists such as Elton John, Joe Cocker, B.B King, Burt Bacharach and Liza Minnelli. An accurate choice which has conjugated quality with reasonable prices. 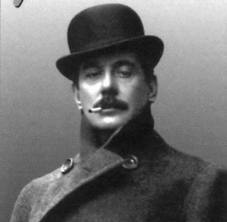 Next September offers opportunities focused on its beloved son, Giacomo Puccini.